No rock star worth his nose-salts was without a Mercedes 600 in the ’60s and Elvis was no different. The pinnacle of the Daimler range, the 600 featured complicated hydraulically power-assisted everything and a thumping 6.3-litre V8. 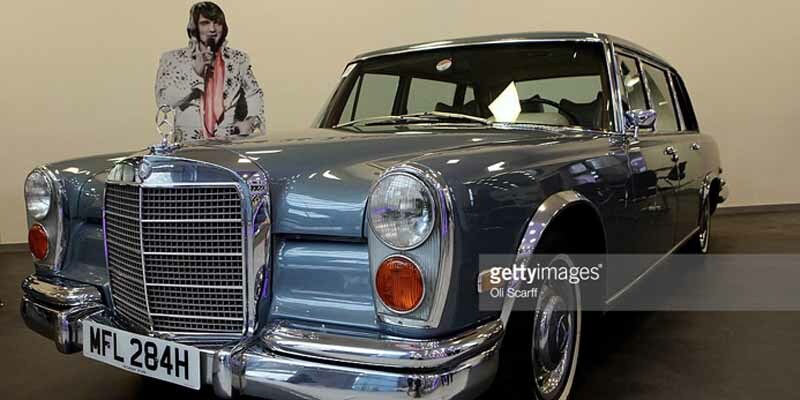 Presley’s powder-blue 1970 short wheelbase sold for £80,700 in 2010.